Who killed the electric car? Well, a closer evaluation of today's Tesla's IPO filing with the SEC reveals Tesla will. They plan to kill the Tesla Roadster after 2011. No, seriously. 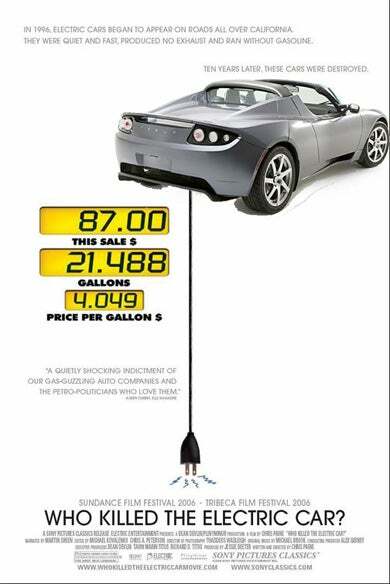 Prior to the launch of our Model S, we anticipate our automotive sales may decline, potentially significantly as we do not plan to sell our current generation Tesla Roadster after 2011 due to planned tooling changes at a supplier for the Tesla Roadster, and we do not currently plan to begin selling our next generation Tesla Roadster until at least one year after the launch of the Model S, which is not expected to be in production until 2012." So, Tesla plans to kill the only vehicle they have — a two-seater Lotus-derived electric roadster — in order to develop a seven passenger sedan that has no platform yet? And they want people to invest money in them? Does Elon Musk have a set of big Israeli balls or what? Now, let's assume they're doing this because they don't have the money to re-engineer design changes in the Roadster and deal with engineering costs for the Model S. Well, great idea — but what if they can't build the Model S? Then what happens to their only, you know, product? So, umm, I guess you kill the cash cow for a Hail Mary, eh? Not if you're a betting person, you don't. What this really means is we'll be getting a new Lotus Elise/Exige in 2012. So we guess the answer to "Who Killed The Electric Car?" is none other than Tesla — you know, in order to save it.